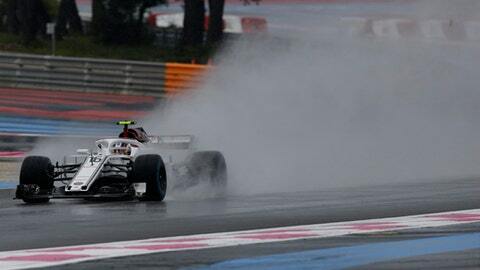 LE CASTELLET, France (AP) Charles Leclerc became the sensation of the French Grand Prix when he steered his Sauber to the eighth fastest time in qualifying on Saturday. That was impressive from a 20-year-old driver who was competing in only his eighth qualifying session since making his debut in Formula One four months ago. The rookie managed only the 13th- and 14th-best times in Friday’s practice sessions at Paul Ricard Circuit. Leclerc has finished in the points in three of the seven races this season, including a sixth place in Baku. Motorsport media reports had already been speculating that Ferrari was interested in signing Leclerc, apparently to replace the 38-year-old Kimi Raikkonen and partner with four-time world champion Sebastian Vettel. His qualifying run that bettered 12 other drivers, including experienced pilots Fernando Alonso, Nico Hulkenberg, and Sergio Perez as well as Sauber teammate Marcus Ericsson, turned even more heads. Leclerc, who is from the tiny principality of Monaco famous for its F1 street race, was the F2 champion in 2017. He was also part of Ferrari’s driver academy and was a test driver for the Italian powerhouse.